A picture is worth a thousand words. Images are not only captured by eyes at a fast pace but also retained in memory for quite a long period of time. Images are captured by eyes as a snapshot whereas words are traced line by line, fed into the brain and virtual images are mapped for the words in mind. This process takes some time. Hence, optimization of pictures in web pages will not only enhance the readership of your blog site but also keep you in the forefront of search engines. Let us check how we can optimize images on your blogs both for visitors and search engines. When the images on your blogs are search engine optimized, your blog page rank goes up. When you have good page ranks, your blog attracts good volume of traffic. As the traffic goes up, your blogs get more publicity and you can gain more through Google Adsense, Affiliate marketing and other sources. You can also go for a deal with parties who require images from your blog post and in return build a link from their sites. Link building will yield you more in the long run. You can go for exchange with reputed websites. We do this on our discount coupon blog that features Jupiter images and istockphoto discount coupons. Coming to the type of images to be deployed on your blogs, JPG and GIF file formats fare better in search engines compared to PNG files. While naming files, it is advisable to include the keyword in the filename. If there is more than one word in the filename, you can use hyphens or underscore as word delimiter. Between hyphen and underscore, hyphen will fare better with search engines. And, when you are required to use the same filename for more than one image, you can suffix digits like 1,2,3, etc. It is a fine art to balance both your blog site visitors and search engines. With a well calculated approach, you will be able to justify your readers by including the most appropriate keyword in the Alt Text. Proper descriptive text can be embedded in Alt Text to convey meaning to visitors who cannot see images on the screen if the links are broken or due to other technical issues. Content Management Software like WordPress offer free plugins to take care of Alt text which is search engine optimized. Image size should be search engine optimized. It is advisable to go for not too big or not too small images. Ideally, you can deploy images of size between 100 x 100 and 1200 x 1200 pixel resolution. You should also balance the number of images per blog. Adding of too many images will not only annoy your audience but also may lead to getting less ranking in search engines. On the other hand, adding of too many blogs will take more time to load in the web browser. You can also optimize the image caption. Sometimes, image captions take the stand of image in the conveyance of information. Captions can through a better light on image by giving a new direction or a new sense. Hence, initial words of image caption can be optimized to capture more audience. Some bloggers are averse to optimize images in their blogs due to the fear of being overridden or being copied or stolen. If you have a reason to capitalize high volume of traffic from your blog post, you can undermine the thought of losing control on your images. The revenue generated from the traffic lets you invest more to throw more imaginative metaphors in the future. Unlike word matching, image matching is not possible with search engines in its strictest connotation. To find words with a matching text, search engines perform the job by comparing character by character. The same logic of comparing pixel by pixel is not applied when coming to image searching adopted by search engines. Hence, images are to be optimized for search engine findings by using optimized text in all occasions of association of text with an image. Optimized images will appear first in search results. 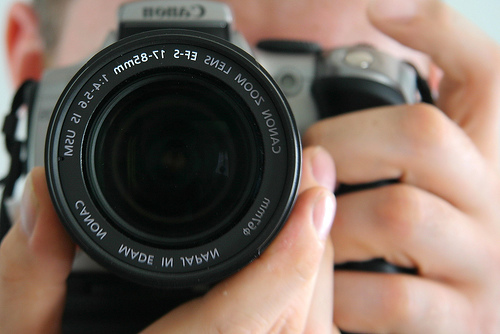 Have you optimized images for both search engines and your audience? This is an article from Jane Sheeba of ProBlogging Success. Jane understands the importance of using images in a blog post. She recommends Jupiter Images and offers a coupon for iStockphoto. Jupiter Images and iStockphoto are two great sources of inspiring images that bloggers can use to bring more value to their blog posts. I feel I am seeing you everywhere. What a prolific guest poster you are! Anyhow I have to agree with everything you say. Specifically the art/balance of alt text. I have a few images that I veered to closely on the side of words that were close to the description of the picture itself, which taken out of context of the post it was in…may have little relevance to the site. This ends up with a lot of traffic that is in no way relevant to my blog content. This just makes a heaping helping of bounces. I would like to say that images are extremely important for articles. Using images you will make your text more readable and also well-optimized images can generate a lot of traffic to a website from search engines. That’s why it is extremely important to follow tips and recommendations provided in this article. Thank you for you nice post that sharpened my knowledge on how to optimize the image.Application of image in text makes the content more understandable and usage of alt tag helps in optimization of search engine as well. This is great post for my site. I have Image site so that its too good for me. Thanks for awesome post. Initial word of image caption can be optimized to capture more audience within a second. Images do help a reader become more interested in the article. It does take extra time and effort to place them in but it’s all worth it. Thanks for these effective tips! Hi, it was very nice post. But I just wanted to ask you that can you suggest any good image compression software’s. Actually, I don’t like posting large sized images on my blog as it reduces the page loading time, so can you plz tell me some software that can compress the image with reasonable image quality. Hello Ankit, you can try the Wp Smushit plugin, it is very good plugin to compress the images without any lose of quality. As for me most of the time I optimize images by naming it using a keyword for that specific post. Sometimes I also check google keyword tool as my reference when choosing the right file name. Images speaks better then words! Always images play an important part for blog presentation and even to drive traffic from Search Engines! Good Share! Hi Rojish! I prefer this is a very good post from you. Optimizing blogs will surely help bloggers to enhance the capabilities to reach the target for their visitors. Have a great day.